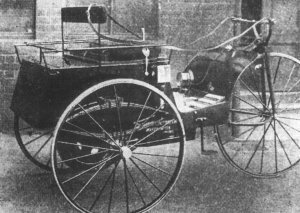 The Bushbury Electric cart was manufactured in Wolverhampton (UK) during 1897. The vehicle was powered by two large 3 speed electric motors that were placed under the seat along with the batteries. The vehicle had very limited range and production ceased in the same year.